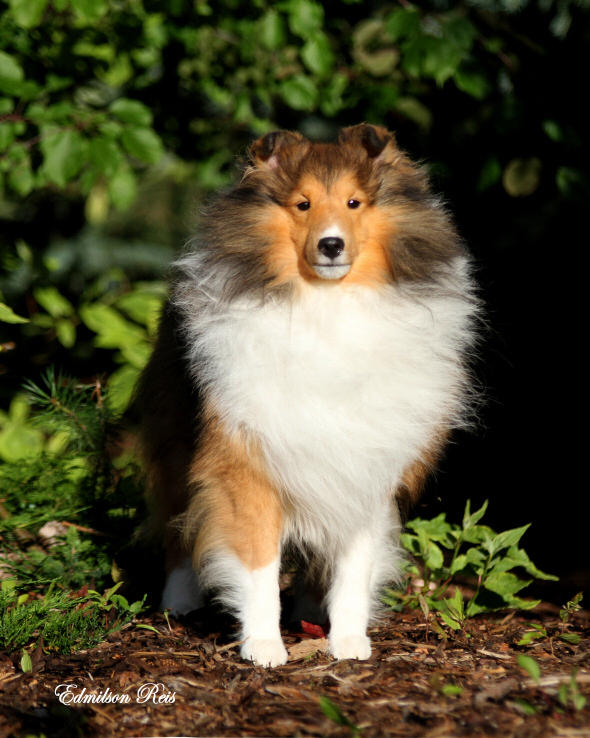 Sawyer is another Quake son who we are quite excited about.Sawyer is our exciting pure for sable lad! 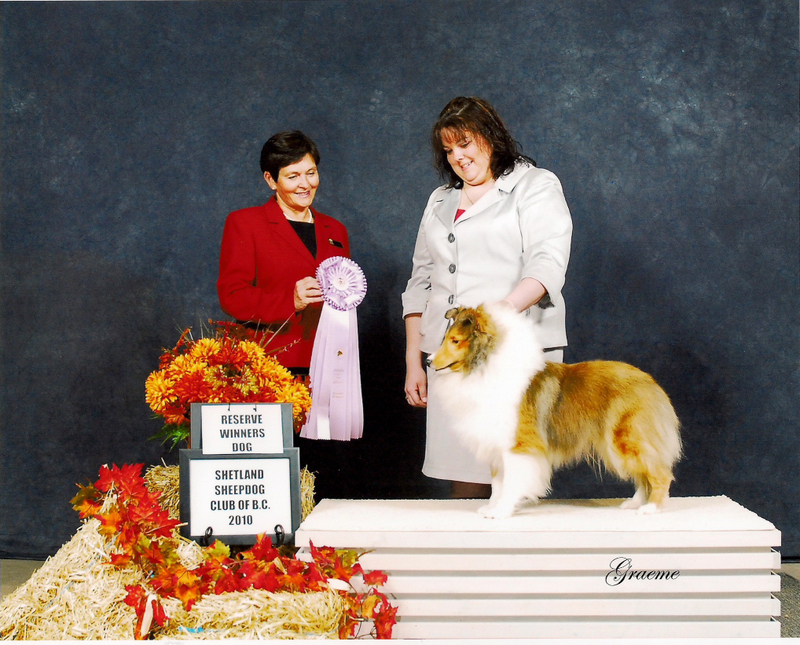 Sawyer was a little slow to start his show career, as a puppy he was always in the ribbons and the reserve king! We put him away just before his first birthday as he was loosing his puppy coat and thought we would let him grow up a bit. 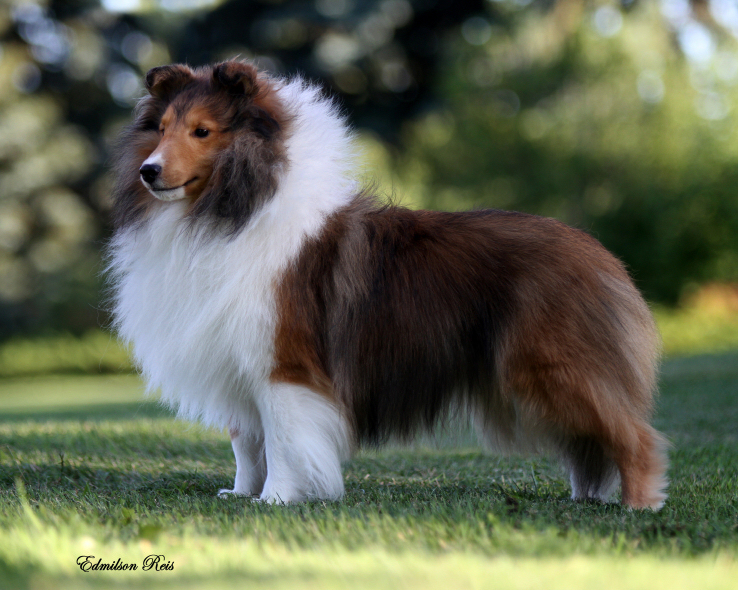 We brought him out for the Fraser Valley Shows and on the Friday he did nothing and then on Saturday at the Shetland Sheepdog Club of BC, under Sweeps judge Cindy Wilson he wins his class and then under Breeder judge Yvonne deFreitas was Reserve Winners. 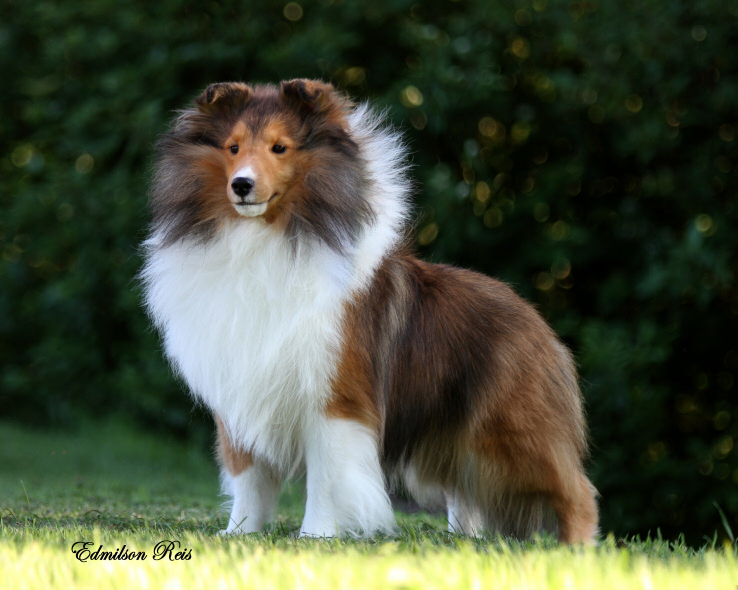 Then in the all breed show he starts out by going winners dog for his first points and then finishes the weekend as a new champion as he went Best of Winners in the remaining 2 shows! Yeah Jenn awesome job! As you can see from the photos Sawyer is growing up!